Dinosaurs. They may be dead, but they’re still dead cool – and it’s time to learn all about them! Excavate the facts about the most amazing animals that ever existed. Discover the weird and wonderful mysteries that palaeontologists are dying to solve. 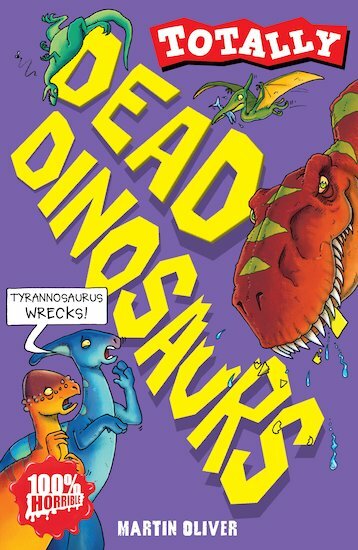 Create your own theory about the deadly disaster that wiped out all the dinosaurs! Dig up rotten relics like dinosaur dung, and have a go at some quirky quizzes. Could you be a dead dino detective? Daniel Postgate, author of The Snagglegrollop, is a freelance author, illustrator and cartoonist with over 20 years’ experience. His other titles include Smelly Bill, Kevin Saves the World and Big Mum Plum. Daniel’s books are very popular and have been recognised for lots of awards. To date he has won both the Nottingham Children’s Book Award and Norfolk County Children’s Book Award, and he has been shortlisted for both the Sheffield and Stockport Children’s Book Awards.